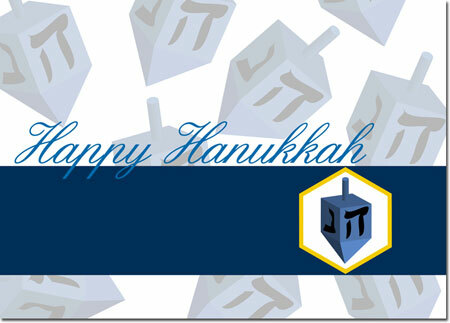 Send this festive Hanukkah folded card (fold at top) with Dreidels to all this year. This card is printed on White stock. 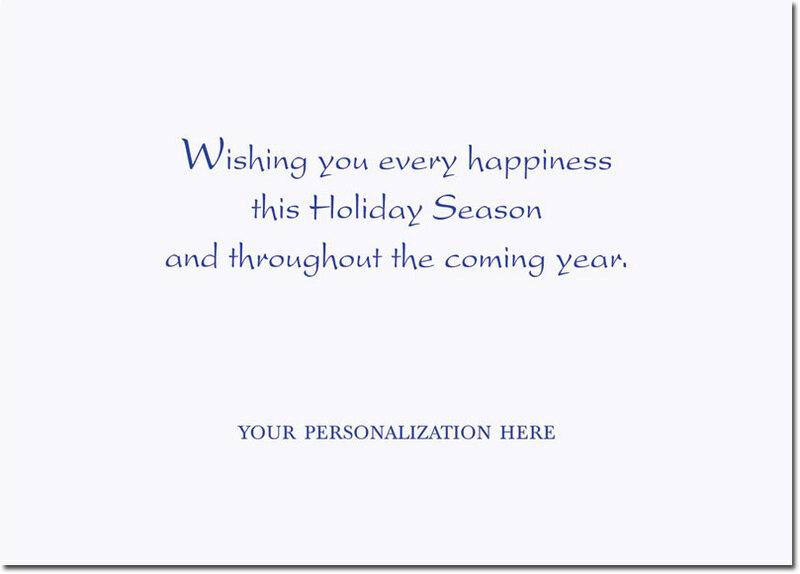 You choose a sentiment (or create your own for an additional fee) and specify your personalization to print on the inside of the card. 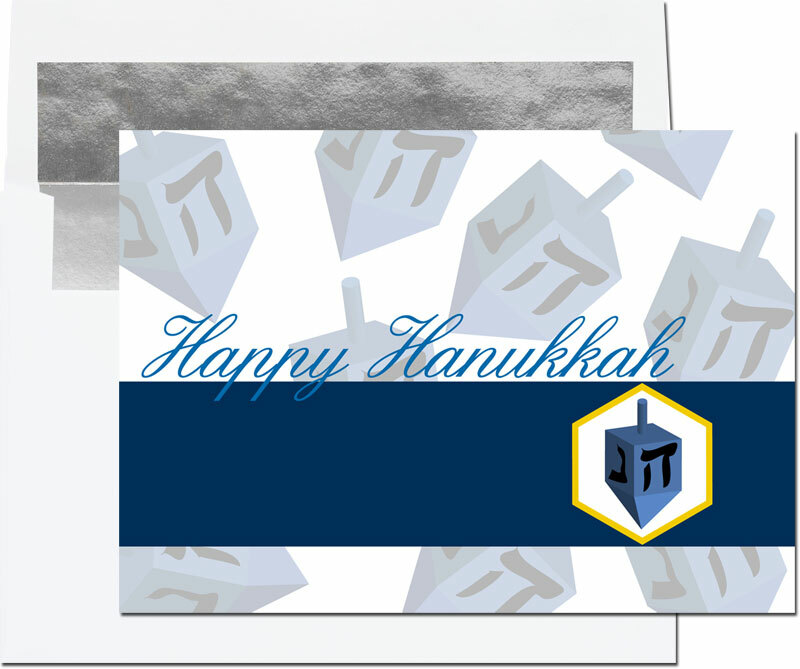 7 7/8" x 5 5/8"
Your greeting and signature will be flat printed on the inside using blue ink or you can change to an alternative ink color for no additional fee. Sentiment N56 shown. You can keep the sentiment shown or choose any of the standard sentiments at no extra charge. You can also create your own custom sentiment for an additional fee. Optional KwikSeal (self-sealing) envelopes are available. Simply uncover the self-adhesive strip by peeling off the protective strip from the envelope flap and press closed. KwikSeal envelopes come with the same lining as shown with the card chosen. Silver Lined White envelopes are included in the price of the cards. If you would like to see what this card will look like before it is printed you may order a digital proof. However, if you are using a Custom Sentiment you will receive a FREE proof that must be approved before your order is printed and shipped.